A small, but select, gathering of souls met outside the Jazz Café at noon today to pay tribute to Keith by way of reminiscence on video - I'd expected more. Nevertheless, it was an emotional experience and I was pleased I made the effort. Link. To the best of my knowledge the tribute to Keith on Sunday will go ahead - 2 pm. The calling off of tonight's gig was a late decision by the musicians involved and not, as has been suggested elsewhere, an error on my behalf. PS: The flowers in the photo add a poignant touch to a shrine we may never see the like of again. Sad news – A legend, an individual, a passionate grafter for what he believed in . I first met him in the early 70s, as a fan of the Big Band who dabbled in second-hand cars and did my car’s mechanics. He’d been a bouncer at the City Hall and was a ubiquitous presence at gigs everywhere. It turned out though that Jazz was his real passion – which I only heard about later from my two sons, who’d returned to University up here long after I had left the region. I can think of very few people who deserved success more, in that he was tireless in the promotion of the Caff. If a plaque were to be placed for him then it ought to be here at the Barrass Bridge entrance to the University where he was omni-present. Clearly Google Maps shot this during early dawn hours on one of the few occasions that he wasn't thrusting promotional material into the hands of passing students. Over the past few years I've generally begun the end-of-year ‘Alert’ with a despairing look at the political and financial state of the world, turning to jazz as the consolation that might, from time to time, bring some light to the gloom and make the wish for ‘A Happy New Year’ not entirely futile. the jazz cafe documentary - Posted by John Taylor. The news that Keith Crombie is dead has totally shocked me and no doubt has also shocked that part of the jazz community associated with "The Caff". A man who didn't suffer fools gladly, his dedication to the music he loved and the support and encouragement he gave to musicians make him a unique one in a million figure. This is just so so sad that I can't write any more. The photo by Kaveh Emami sums Keith up perfectly. The world will be a much duller place from now on. A tribute concert is being arranged by Peter Gilligan to take place on Sunday afternoon (2pm) January 6 at the Jazz Café. Facebook Photos by Kaveh Emami. Jazz legend Keith Crombie is in hospital again ward 30 room 5 RVI , ............... Meanwhile, we are trying to keep the Jazz Cafe going and it could be said there is a slightly more relaxed atmosphere in there so come down tonight and buy a beer have a listen and lets get the dude some money. Tonight Peter Gilligan (Piano) and the wonderful Stevie Glendinning on guitar with potential special guest Lindsay of Hannon on Vocals. With the closure of the Vieux Carré Jazzmen's Monday night session at the Corner House, Heaton, it marked the end of what was once the North East's premier jazz venue. Jazz Express - the fore-runner of Jazz UK - listed the following gigs in its July 1983 edition. Mondays: Ray Stubbs R & B All Stars. Tuesdays: Willie Payne- Sid Warren Quintet. Wednesday (27th): Pat Halcox + Peter York's Rollercoaster. Fridays: Arthur Mowatt Big Band. In my lengthy career this one beats all! You can't make this up. It's Christmas week at my sweet Tokyo gig, Tableaux Lounge in chic Daikanyama. Waiter comes up with song request written on paper: First some Japanese words -- then written below: Buy me meat asean. Baffled by what the heck this might be, I approach an elegant Japanese lady seated close to piano. She takes a look and immediately utters (quite clearly) "Bei Mir Bist Du Schoen"
"You can't be serious!" I exclaim -- and then she starts to sing it. I run back to piano and the whole room starts singing along. They even knew the "bela bela -- wunderbar" part. (N.B. nary a bagel in sight around these parts..) Then.. more unlikely serendipity -- this lady turns out to be famous actress in Japan, Ruriko Asaoka! Fontella Bass and the World Saxophone Quartet - Information wanted. Unable to sleep due to coughing and spluttering (yes, the lurgy) I was, rather aptly, tuned to Radio 5 Live's Up All Night programme in the early hours of Friday. At about 2:20 am direct from America Hamiet Bluiett (of World Saxophone Quartet fame) spoke of his sixty years' friendship with Fontella Bass. The death of Ms Bass on Boxing Day, had, of course, been announced earlier. The WSQ recorded three numbers with Bass on LP. I wonder, does anyone know of the recording? The evening began ominously - a missing hi-hat thingimybob! Fortunately, after searching the place, many phone calls and a subsequent taxi-drive, a replacement was found. Well done Jeff. It wasn't going to be easy. A boisterous corporate crowd set the atmosphere and, with the exception of a somewhat dreary Metheny number, the guys did the business. Straight No Chaser, Stella and the most swinging Waltz For Debbie you'll ever here - and in 3/4 time throughout! Even when the shot and shell was flying there were no 4/4 cop-outs. The band were firing on all cylinders and nobody hung back. Bouncin' With Bud, Cantaloupe Island, My Favourite Things and Mr PC were superb - in fact there was only one thing wrong. It was a Jam Session but where were the Jammers? Despite that, it was still a grand night for swinging with all four players hitting one hundred and eighty..
No session next week as the room is booked for a "Private Function". Originally broadcast as part of BBC Proms 2012, the broadcast features Martin Taylor with the Guy Barker Orchestra and the Britton Sinfonia. It starts at 9:40pm on Radio 3 and runs through until 11pm. The Millstone, Haddricks Mill Road, South Gosforth. Showtime 1.00pm in the downstairs bar - 4 hand-pumps, all-day breakfasts, etc. Want to learn about improvisation and contemporary music? Led by Dr Paul Edis, described recently as a 'brilliant young pianist' (Alyn Shipton, The Guardian) Jazz Attack is your chance to experience spontaneous music making and to be creative! 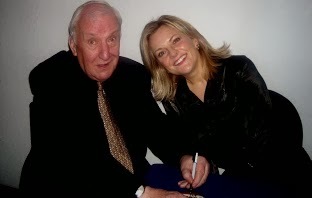 It is with much sorrow that I write of the passing of Sir Richard Rodney Bennett (pictured here with Claire Martin). The Sage, Gateshead, concert that the duo gave back in February 2009 is firmly lodged in my mind as arguably the best duo gig I've attended. This was my first exposure to the man who not only provided Claire Martin with the accompaniment that this superb singer deserved but also sang in an engaging voice himself. On the CD I bought afterwards - thankfully signed by both participants - he sings perhaps the most emotive version yet of I Keep Going Back To Joe's. To get the true feel of that night check out my review which, as I play the CD When Lights Are Low, makes that magical evening all the more memorable. Of course Sir Richard was revered in more than one genre details of which can be found in The Guardian Obituary. Sir Richard Rodney Bennett died age 76 peacefully in New York on Christmas Eve - a musical giant. Next year's Whitley Bay Classic Jazz Party brochure is out now and it looks to be a good one for those who like their jazz to strut and stomp and swing. With Daryl Sherman and Cecile McLorin Salvant on board the party won't poop but to find out more visit - http://www.whitleybayjazzfest.org/index.html. A word of advice, although it isn't on until November, don't hang around, there are only 280 places and most people book from year to year so get in there sharpish. Iain MacAulay (trombone, trumpet & vocals), Derek Fleck (clarinet, soprano saxophone, tambourine & Santa hat), Roy Gibson (keyboards), John Carstairs Hallam (electric bass) & Ollie Rillands (drums) + Joan Armstrong (vocals), Brian Chester (trombone) & Barry Soulsby (vocals). Party time, Christmas apparently. Birthday time too. Keyboards' man Roy Gibson and bar worker Aynsley share the same birthday, albeit generations apart. Happy birthday to you and you. 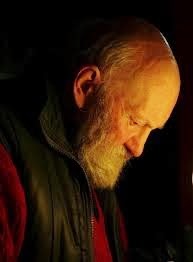 Iain MacAulay's laconic vocal style introduced My Blue Heaven and front line partner Derek Fleck introduced his soprano saxophone to the daylight for the first time in eons, on Summertime. 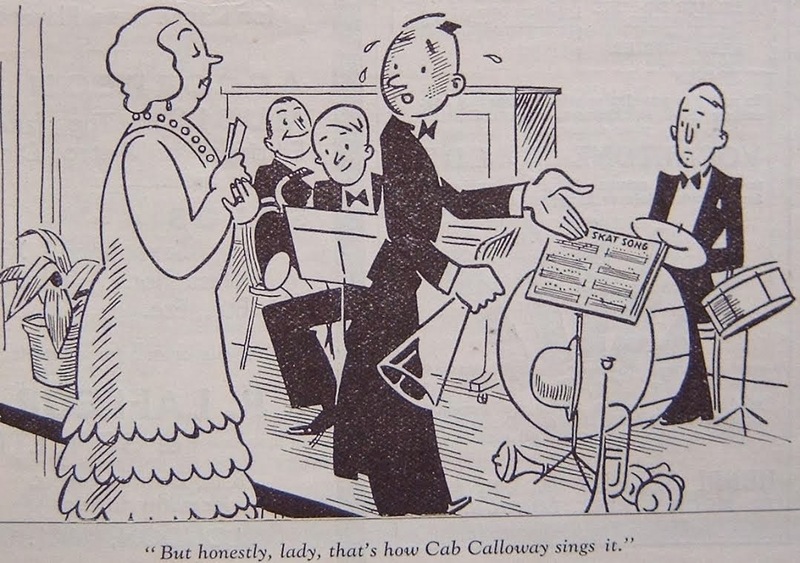 John Carstairs Hallam sent this cartoon taken from a vintage Melody Maker along with his Christmas greetings - thank you John may see you at Cullercoats tomorrow. Readers of this blog will know how much I love Marian McPartland and the show she hosted - Piano Jazz. I'm sure that if I'd actually met Marian I'd have fallen in love with her too! although, after reading the marvellous biography of Marian by Paul de Barros - Shall We Play That One Together? - I would have had strong competition. This link has a duo with Marian and George Shearing doing Let It Snow. Listen to the chords she lays down on Good King Wenceslas! Long Live Good Queen Marian! band for the night is Paul Edis, Adam Sinclair and Andy Champion. One of the great saloon songs originally done by Nat King Cole and later Curtis Stigers among others. Sinatra and Tormé should also have had a crack at it - I wonder if they did?. A Schmazz Christmas party double bill of Mercury Prize nominees Roller Trio and local heroes Legohead guaranteed a larger than usual turn-out down at the Ouseburn’s premier music venue. The local lads - Lloyd Wright (guitar), Jon Proud (electric bass) and drummer David Francis - brought along their own following to help boost numbers and they delivered a typically energetic set. Wright’s big chord stretches, riffs and effortless solos wrapped themselves around Jon Proud’s subtle, funking bass lines underpinned by stickman David Francis’ assured performance. The set mixed tunes old (Getaway Driver - a favourite) and new. 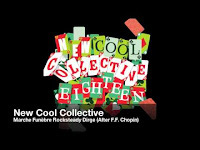 A debut CD is on the stocks. It will be available in the early part of next year. Definitely one to add to the collection. Arriving home, I searched what remains of my memory for the lyric of my new-found old song. With super human effort I forced my thoughts away from drivel of Frosty the flipping Snowman until I hit upon the belief that it was something to do with Monday, or was it Tuesday or it might be Wednesday. Armed with my new evidence I again requested help from Dotty. “It's Frosty the Snowman” Said she who knows everything. Eureka. I found it. Not Monday or Tuesday No. It was SUNDAY. Yep, I had it. Anybody out there want to send me their fave playlists or gig lists - I'm beginning to think my 10,000 plus monthly visitors (20,000 if you use the Google stats!) never go to gigs or listen to CDs! Which isn't true as I know that Russell once bought a record.. Miles Watson (tpt/vcl/dms); Tony Winder (ten/sop/clt); Terry Dalton (tmb/vcl); Roy Gibson (pno); Robin Douthwaite (gtr); Stan Nicholson (bs); Laurie Brown (dms/clt) + Teresa Armstrong/Ann Alex (vcls). This was a jolly, fun-filled afternoon with the jazz on the jolly side. Seasonal headgear was in abundance both on and off the stage. We're postling to give you brief details of Jazz North East's programme for January and February 2013. For fuller information please visit our website at www.jazznortheast.com or look out for our new seasonal brochure. It's hard to miss - with the words FIRING THE FURNACE at the top above a photo of a musician who looks like a younger version of a cross between Frank Zappa and Seb Rochford. Saxophonist Jimmy Greene whose daughter Ana Grace died in the Sandy Hook shooting recorded this emotive musical portrait of his daughter in 2009. The love is expressed so beautifully in his playing. The management of The Corner House have decided to apply a considerable hire charge for the use of the Function Room. Sadly, this has resulted in the Vieux Carré Jazzmen ending their weekly Monday session at The Corner House forthwith. The VCJ would like to thank everyone who has supported the band for the past 12 years at this venue. The Capstone Theatre is delighted to announce a new International Jazz Festival to launch from 28th February - 3rd March 2013, in Liverpool - the UK’s music capital. For a full four days the Liverpool International Jazz Festival and the Capstone Theatre will come alive to the sounds of Roller Trio, Led Bib, Robert Mitchell,Kit Downes Quintet, Denys Baptiste's Triumvirate and Courtney Pine to name a few highlights, and all under one roof. CD Review: MILES DAVIS – “Original Album Series – “Tutu”; “Siesta”; “Amandla”; “Dingo”; “Doo-Bop”, 5 CD set, Rhino / Warner Bros, 2012 . Miles Davis hated repeating himself. “I have to change, it’s like a curse”, he once said. Leaving aside the albums of the ‘60s where he seemed to play ‘live’ the same tunes (e.g. 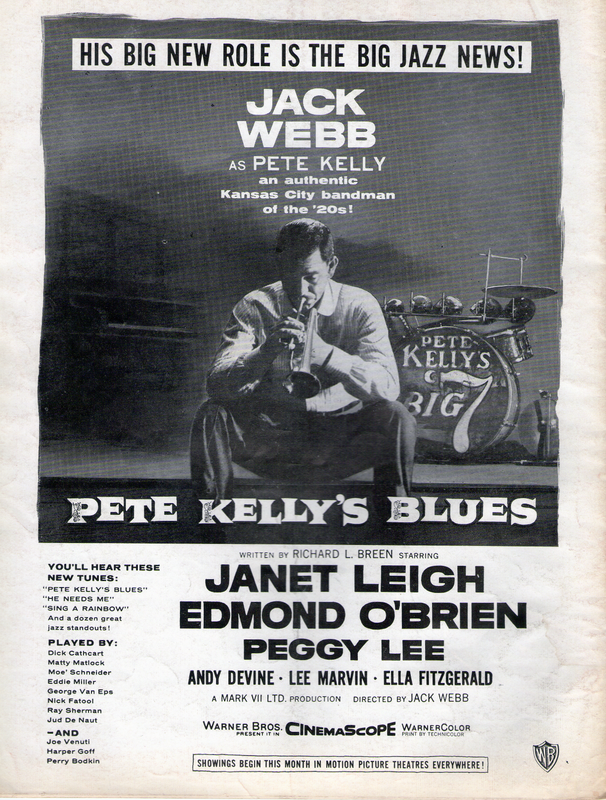 ‘All Blues’ and ‘So What’) he’d recorded years earlier; on albums such as “At The Blackhawk” or “Live At Carnegie Hall”, he succeeded in doing just that. His experiments with electric instruments led to jazz-rock and fusion, genres which have pretty much been dismissed by purists over the years, but he pointed the way for such as Weather Report, the many incarnations of the Herbie Hancock band and others too numerous to mention. Lindsay Hannon Plus/Jam Session @ Splinter @ The Bridge. Sunday December 16. Lindsay Hannon (vcl); James Harrison (pno); John Pope (bs); Mark Robertson (dms) + Paul Gowland (ten); Graham Hardy (tpt), Gabriele Heller, Keiran, Belinda Voshtina, Zoe Gilby, Dave Weisser (vcl). It was free entry for the end of season jam and, as such, the room was full although it has to be said most folk seemed to be donating generously. The new line-up of Lindsay Hannon Plus got the ball rolling with The Doors' I Am a Spy. After some initial hesitancy new pianist James Harrison slotted in fine. James always looks as if he is having the time of his life and he probably is. So Long Big Time and The End of a Love Affair followed before Paul Gowland joined them for The Very Thought of You. Sarah Ellen Hughes, Fini Bearman, Billy Boothroyd, Paddy Clarke (vocals); George Moore (piano); Tim Thornton (bass); Chris Draper (drums). Level 1 of Hall 2 was set out in cabaret style, which suited the mood for this gig of fine singing from Sector 7, who were promoting their EP, a bargain, priced only £5. Soul, jazz, folk and gospel styles were all there, included in rich harmonies. The opening number, about superstar wannabes, featured the male singers with the women as backing singers and a piano solo, but each singer got a chance to lead in each of the other skilfully arranged songs. This was the second set of the performance involving Sector 7 (first set to be reviewed shortly). We were mightily entertained with great vocals, piano, and a good helping of comedy. The amusing stories about weight loss, loss of virginity in Morpeth, and cheeky shouts to the technicians to turn down the lights, flowed well between songs both amusing and sad, with lots of space for the pianist to display his soloing skills. Amazingly, no one has come up with their Gig of the Year or their CD of the Year apart from Liz who plumped for Seth McFarlane's début album. So I'm going to give you my favourites - in no particular order. Roos Jonker (vocal, beats?, other instruments); Rory Ronde (guitar); Benjamin Herman (sax). This is a delightful debut album, heavily jazz-influenced, but with many other elements from hip hop, pop, and genres which probably don’t yet have a name. This singer, who studied at the Jazz Department of Amsterdam Conservatory, wrote and arranged all the songs, which include very individual love songs with strong hooks to aid the memory (quote: ‘Will you be there, still there when I fall’); songs with countryside images; a song about dealing with sadness (Shoes and Booze). The feel of the album is light, fresh and airy, a sweet gentle easy-listening voice, with very interesting skilled musicianship. Strictly Smokin' Big Band @ Hoochie Coochie Thursday December 13. Michael Lamb, Pete Tanton, Tom Hill, Gordon Marshall (tpts); Alex Leathard, Mark Ferris, Robert 'Pez' Perez, Mr. John Flood (tmbs); Jamie Toms, Nadiah Killick(alt), Paul Gowland, Alan Marshall (ten), Laurie Rangecroft (bar); Chris Finch (pno); (bs); Pawel Jedrzejewski (gtr); Guy Swinton (dms); Steph Adams, James Hedley (vcl). I'm pleased to say that they are still smokin' - breathing fire down their horns - and tonight, despite the Christmas theme, this was an evening that swung from the word go. I'm informed that the Maine Street Jazzmen will be absent from the Porthole, North Shields until January 8, 2013. Their evening sessions at the West Jesmond British Legion Club will be off on Xmas Day and New Year's Day. The holidays take a further toll on them with the Thursday sessions at the Marquis of Granby also - Dec. 27 and Jan. 3. Dave Weisser's Take it to the Bridge is also taking a break from The Chillingham and won't be back until January 9. The Vieux Carré Jazzmen won't be doing Xmas Eve and New Years Eve at the Corner House or the Crescent Cl;ub on Boxing Day or January 2. Tom Adams from Brampton, Cumbria. The heat takes place on February 8 at Redcar Blues Club. Indian guru, sitar player and probably the first major Indian influence on jazz and rock died yesterday (Dec.11)aged 92. Guardian obituary. Big Chris Barber Band: Chris Barber (tmb); Mike Henry, Peter Rudeforth (tpts); Rick Exall, Ami Roberts, Peter Brandsmar (reeds); Joe Farler (gtr); Jackie Flavelle (bs); Gregor Beck (dms). Acker Bilk and his Paramount Jazz Band: Acker Bilk (clt/vcl), Ron Drake (clt); Enrico Tomasso (tpt); Ian Bateman (tmb); John Day (bs); Ritchie Bryant (dms); ? (pno); ? (bjo). Kenny Ball and his Jazzmen:Kenny Ball (tpt/vcl), Ben Cummings (tpt); John Bennett (tmb); ? (clt); Hugh Ledigo (pno); Bill Coleman (bs); Nick Millward (dms). Friday night will be the final night, for Sector 7, of a UK tour that began at the Scarborough Jazz Festival at the end of September. I was fortunate enough to be able to attend and review that concert which was quite something. Now, 75 days on, it should be perfection plus a few Christmas favourites t add a bit of seasonal cheer.. If you like vocal groups with a difference this is the gig for you - in fact any group that includes Sarah Ellen Hughes and Emma Smith will do for me! If you like singers with a difference then co-star Ian Shaw definitely fills the bill! Singer, stand-up or pianist he ticks all three boxes although on Friday he'll vacate the piano stool for one of this country's outstanding jazz piano men - Barry Green. This promises to be an outstanding double header. This is What I Do - Gerry Richardson's Big Idea @ The Sage. This could have been called Gerry Richardson's Even Bigger Idea featuring as it did backing vocalists and an extra trumpet. So Many Reasons kicked off the album launch. it also closed the show when an encore was demanded. In between, Gerry, sans bass pedals, made the Hammond roar and sang/played the tracks from the new CD which constituted the excellent opening set. This included, among others, Ska Odyssey featuring new kid on the block David Gray in an extended big brassy toned trombone solo, Gil Scott-Heron's Lady Day and John Coltrane with Rod Sinclair to the fore and Sue Ferris was impressive throughout - particularly on a flute piece titled Song of Ferris (or something similar). Sue also blew some gutsy baritone. Garry Linsley was his usual cool self on alto and Neal Harland a suitable replacement for Gerry's feet. Liz and Lindsay added an extra dimension although a touch more volume would have been welcome. Interval time and the bar area soon filled and friends old and new passed judgement. It was favourable and comparisions were drawn with Georgie Fame and Mose Allison. Back in Hall Two, Gerry kicked off with Take The T ee Train, African Sunset saw Dave "Highnote" have a blast and Paul Smith got in a parradiddle or two although Paul's piece de Resistance came towards the end with an awesome display of speed drumming. It was a good, well-attended launch. Graeme Wilson Quartet - The Music of John Coltrane. Splinter @ The Bridge. Song of the Underground Railroad from Coltrane's Africa Brass album kicked off this tribute. Wilson was in paint-stripping mode from bar one. By bar 16 he was going for the jugular and by the end of his solo he left no doubt that he was The Man to take us on a Trane ride. Collingwood kept the engine fuelled with Tilbrook and Champion making sure it stayed on track. What am I saying? "Stayed on track!" - it did a couple of mid air somersaults , shaked it's caboose and still arrived on time. This was some Trane! Sadly the snow was snowing and the wind was blowing and we could not weather the storm and at the end of this year we were unable to go home with our music to keep us warm. It was so disappointing that our final meeting of the year had to be cancelled. However, we cannot put this year to sleep without thanking all those exceptional musicians who gave us a year to remember. To all those who were on stage in Ashington on behalf of the members I thank you all and send our Best Wishes for Christmas with the hope that the New Year will bring you the gigs, the applause and credit you deserve. here of the Katherine Stone Quartet. We look forward to seeing you there to hear this singer. achieved throughout the year to make this happen. We do not forget Bebop Spoken Here who provides welcome publicity. Thank you Lance and long may you continue to keep us informed. Sebastian at LondonJazz informs me that there's a piece about the death of jazz on Radio 4 on the Broadcasting House program tomorrow, Sunday, at 9am..
Is this program about the death of jazz on Radio 4 where it was never really born? Or is it the death of jazz as a music? Since the day I heard my first Louis Armstrong record people have been telling me that jazz is dead but of course it isn't (and no puerile Zappa quotes please!) There are more talented young musicians playing jazz than there has ever been. So it will be interesting to hear what this "pundit" has to say. In the meantime, there's, an archive interview with Dave Brubeck at 23:30 tonight - Dave Brubeck at 90. DARYL SHERMAN (Jazz singer, Pianist). Jazz, Wine & Cigar Bar Tableaux Lounge is featuring live jazz and other music in chic Daikanyama. Daryl tells us she experienced her first earthquake - fortunately only a mini one. Maarten Hogenhuis (alto); Folkert Oosterbeek (Hammond); Thomas Rolff (bass); Felix Schlarmann (drums). Bruut, a band from Amsterdam, describe their music as Superjazz and it isn't a bad description incorporating as it does many disparate elements that mix effectively together. There's very much a 50's/60's feel to it particularly with the vintage Hammond sound that rocks and rolls behind the cutting edge alto. Not that it is all one big rave there are moments of great sensitivity as well but it is the go for broke tracks that click with me. The drive, the tension building, is at times unbearable as Hogenhuis slides with a serpentine angularity around the powerful riffs laid down by Oosterbeck and reinforced by Schlarmann and Rolff as they take a Rockin' Rollercoaster ride on the Boogaloo Line.It's as if they're saying, Never mind The Moon we're heading off to Mars, maybe Jupiter - they need the heat we generate! Check them out here or on Spotify. Released in The Netherlands on the Dox label Bruut is available in the UK on Discovery Records. Please consider buying my Christmas song! Written by me and recorded by the children at my school, we are raising money for the UK-based music charity Music as Therapy International. This charity works with disabled and marginalised children to help them communicate and learn through music, for a better quality of life. The more copies we sell, the more money that is raised for the charity, and the more chance we have of getting into the UK Top 40 this week! We are trying to push for it this week so as to avoid all the Christmas releases from the X-Factor etc, which will be impossible to beat. Our annual concert is returning to its original venue at Gateshead's Caedmon Hallon Saturday 2 February 2013. The Caedmon Hall is part of Gateshead Central Library on Prince Consort Road, Gateshead NE8 4LN, and has bar facilities and a large free car park. Maureen Hall’s Friday lunchtime band set sail for Dixie at their long-running residency at the Porthole public house adjacent to North Shields’ ferry landing. The first blast of winter kept some of the regulars indoors, Derek Fleck stood in for Barry Soulsby (away in Northumberland with Brian Bennett’s Vieux Carré Jazzmen) but otherwise it was business as usual. The tunes were familiar (sing-a-long most of the time): Everybody Loves My Baby, a false starting Rosetta (much mirth! ), Bye Bye Blues, It’s Only a Paper Moon, Deed I Do, All of Me (good trombone from Iain MacAulay, good clarinet from Fleck), I Can’t Give You Anything But Love and more. Good company, good music, the added attraction of Theresa and Joan singing a couple of numbers made for an enjoyable afternoon. Next week (Friday 14) is the band’s Christmas party. A little early perhaps in view of the fact the band will be at the Porthole the following week (Friday 21)! Hall’s full line-up will be at Jazz at the Fell tonight (Gateshead British Legion) at 8.30.pm. 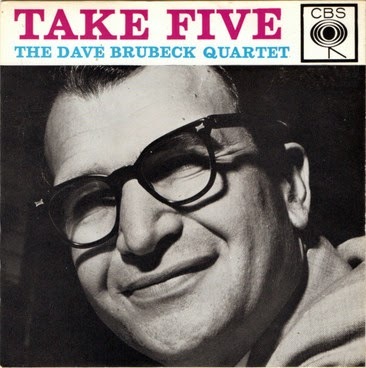 With the passing of Dave Brubeck I've spent a lot of time listening to his music and I've come to a conclusion which goes against the general consensus of opinion. Joe Morello was a great drummer and the Time Out album was superb but, for me, the classic album was the 1953 session - Jazz At Oberlin. Lloyd Davis was on drums (whatever became of?) whilst Dave and Paul swung their asses off. Ron Crotty on bass helped to make this album an absolute delight. Peping Ceriaco (tpt); Colin Aitchison (tmb/teapot); Franco Valussi (ten/clt); Aki Espiritu (gtr/pno/bjo); Joselita Garcia (bs); Robert Flores (dms); + Tom Cord (dms); Danny Diaz (vcl); Neville Sarony (vcl/pno); Bert Amparado (tpt)..
Colin Aitchison has kept us up to date with the Hong Kong jazz scene and in particular Ned Kelly's Last Stand - the bar in Kowloon where he has led the China Coast Jazzmen for the past 15 years. This live broadcast celebrated the club's 40th anniversary as well as the 25th anniversary of the Operation Santa Claus charity appeal. Workshop musicians: Dave Weisser (flugelhorn, vocals); Jim Crinson (fretless bass guitar); Barry Ashcroft (keys); Mike Papapavlou (electric guitar) Doe? (violin) someone else (drums). Sorry to anyone I've missed out or misnamed, but I'm afraid my other wits fly away when I have singing responsibilities. Dave Weisser is running really useful and entertaining workshop sessions every Wednesday, so if you want to hone your jazz skills, this is the place to go to get good solid experience of playing with other musicians in an informal setting. The snow and icy roads caused last night's gig at Ashington Jazz Club to be cancelled. Those going out tonight are advised to check with the venue before travelling. Plus organisers who are cancelling please let us know to avoid disappointment. KATE PETERS SEPTET AT HOOCHIE COOCHIE CANCELLED. Just heard the sad news that pianist/composer Dave Brubeck has died one day before his 92nd birthday. I don't think there is a jazz fan alive who hasn't, at one point, had strong feelings about Dave and his music. Personally I loved him and saw him many times in Newcastle as well as travelling to Leeds to hear him. Apart from the unusual time signatures he also composed such lovely pieces as In Your Own Sweet Way and Strange Meadowlark. He didn't always swing, but when he did it was something else! and even when he wasn't swinging it was still something else! The quartet with Paul Desmond, Gene Wright and Joe Morello was probably the most successful small group in jazz history - Wright (age 89) is now the sole survivor. 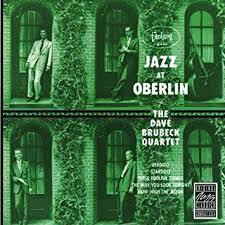 The Brubeck legacy is in the hands of his sons Darius, Chris, Dan and Matthew. I had the honour of interviewing Darius two years ago and he told me then that Dave was still giving concerts and playing well. I guess he was probably the last living jazzman to be known by the general public. Now he's gone but the music remains. Marian McPartland interviews Dave Brubeck on Piano Jazz. in 1997. Pete Gilligan brought another one to my attention. This Thursday is our radio broadcast live from Neds, we broadcast from 9-00pm - 10-00pm in Hong Kong, the link for the rest of the world is here, for the UK, you are 8hrs behind us here, so the broadcast on Thursday should be at 1-00pm in the afternoon, here is the direct link to hear it live. you have a choice of media players. Hope you will be able to listen in, or for you in Hong Kong, pop in and join us. It must be Christmas - the B's are back! Three of them - Barber, Bilk and Ball. of course. This is becoming an annual event in December and, despite their collective longevity - don't ask - they never fail to put on a good show. My personal favourite is Chris Barber, particularly in his bigger band format which invariably includes some early Ellington charts in its' repertoire. But whatever band is your favourite, make sure you have a sturdy pair of shoes on because you will be tapping your feet so much you could wear out the soles! The Three B's - Kenny Ball and his Jazzmen, The Big Chris Barber Band and Acker Bilk and his Paramount Jazz Band are at The Sage, Gateshead on Tuesday December 11. 7:30pm. Tickets £24:50. Tel.0191 4434640. Plus if you order a meal when you book your ticket you get 10% of the set menu. You think that's a good idea? Well So Do I! I'd just finished rearranging the photo albums in alphabetical order (they're now in the RH Column) when I came across this one of Jimmy McPartland taken at the Corner House, Newcastle, circa 1981/82. I remember it as being one of the best Dixieland nights ever held there and, as I'm currently reading Marian McP's biography - a cracking read - I thought I'd blog it. To think I'd shook the hand of the man who'd shook the hand of Bix and many other greats makes me feel quite humble - what am I saying? I am quite humble! I like the photo though. British clarinettist Bill Skeat was on the gig along with local heroes Gordon Solomon , Bill Brooks, Marshall Walker, Roy Willis and who else? Perhaps Gordon and Roy have some memories of that gig? This is the YouTube clip Colin refers to. Just added this one to the Posters and Programs Album. A super film with Ella singing Hard Hearted Hannah, Peggy Lee singing Sugar and the band blowing some great Dixieland. Katherine Stone Quartet @ The Cherry Tree. December 3. This must be the third visit of the Katherine Stone Quartet to this venue. I'm beginning to become a bit of a groupie for my favourite trio and singer. This was also the third time I'd heard them play. Man of the match once again on bass guitar was dep. Dion Krishna - in for regular bass player Mick Danby who I assume is still suffering from his shoulder injury. I noticed that Dean and Katherine both use ipads for their music – very impressive and efficient!! Just a reminder that time is running out for you to make your suggestions for Gig/Cd of the Year - surely the year hasn't been that bad that nothing floated your boat? You visit the blog, go to the gigs, listen to discs so tell us about your favourites. - who knows it might even promote interest in your favourite club/band! Chet Baker is the subject of tonight's Kings of Cool programme on Radio 2. Benjamin Herman (alt/fl/vcl); David Rockefeller (tpt/tmb/flg/vcl); Anton Goudsmit (gtr/vcl); William Friede (Rhodes/keys/vcl); Lesley Lopez (bs/vcl); Justin Kroon (dms/vcl); Frank van Dok (perc/vcl); Jos de Haas (perc/ lead vcls). A lovely reminder of last Saturday's gig at Hoochie - indeed several, if not all, of the tunes on this CD were played that night. The music is totally infectious - it hits you with a triple whammy - your head your heart and your feet - particularly your feet! The Reggae, Ska, Calypso rhythms behind the horns make it impossible to sit still! More Charlie Smith/Peter Fielding and Dennis Ringrowe. Don't they look super! Not sure if this would be the Oxford band or taken in Nottingham "Pallie" I know the Volpe sons are on the back row, Dad is second from right middle row with wonderful pianist Billy Hutchinson second from right front row. He and my dad joined Dennis Ringrowe Orchestra (pictured below) at Tyne Tees studios for the One o' Clock Show. I must retract the remarks I made re Sonsale's gig at the Bridge last week - since deleted. My comments were facetious and potentially hurtful to the participants. Upon reflection, I feel a guideline for all critics should be that if you like something it doesn't mean it's good and if you dislike something it doesn't mean it's bad. It just means you like/dislike something. A beautiful winter’s day. Bright sunshine, bitterly cold. Shoppers out in force. Recession? What recession? The Sage Gateshead. In from the cold. Eddie Bellis’ Lickety Split took to the concourse stage to entertain the brasserie’s brunching diners. The one hour set featured a lot of newer material together with one or two fixtures from the burgeoning band book. The Sage was busy. The Messiah in Hall One and Martin Simpson in Hall Two both doing brisk business. In the Northern Rock Foundation Hall it was a different matter. For some reason trio VD didn't pull a crowd. Last time, in the same room (during the Gateshead Jazz Festival) the Leeds based outfit drew a big crowd and won many new admirers. So, where were these converts last night? Fair weather jazz (festival) fans? Stay at home CD types? trio VD (a word of explanation - it is lower case t in trio) further confuse matters by disparaging the J word, although in truth they are telling the truth - what they do isn't jazz (or is it?). Ascending the escalator at Newcastle Central Station there was the unmistakable sound of a big band somewhere up on the concourse. Ah, the Prudhoe Community Band. Now this is a big band. So many brass and reeds I lost count. The ensemble spanned the ages - pre-teen to coffin dodgers! It was that time of year…Chris Rea’s Driving Home for Christmas and Slade’s So Here it is Merry Christmas filled the chill air. Band master Dave Hignett merrily waved his baton. Santa hats looked at him from the massed ranks wondering if he could be Father Christmas in an overcoat as a back row brass toting reindeer pumped up the volume. The collection buckets were out in force. Yes, it is that time of year again. Bah humbug! Warren told me this band from The Netherlands would knock me out and it did - did it not! I wasn't alone, the crowded room of, in the main, younger folk loved it too. They were listening, dancing to jazz and probably didn't know it! Sizzling jazz solos from the horns, guitar and Rhodes over a compelling mix of Caribbean rhythms got the show rolling. Tomorrow, Sunday December 2, I'm releasing a Christmas single – it’s a song I've written, and it’s sung by the children at my school. We’re releasing it to raise money for a charity called Music as Therapy International, which is a UK-based charity working to support disabled children and adults for a better quality of life through music. I need to make about 3,000 sales of the song to raise any money for the charity and this could possibly get us into the UK charts. I'm taking on this massive project by myself as I don’t have any management/PR/record company on board, so I'm hoping to get some help from friends and colleagues, particularly people I've worked with before in a musical capacity, as this project is for a music charity. So, if you are able to, would you mind mentioning it in a newsletter/on a mailing list, to help spread the word as much as possible. I appreciate that a mailing list is a delicate thing, and you can’t go overboard on promotion, but if think that your mailing list would be receptive to this, then I would truly appreciate your help. Sold in aid of Music as Therapy International. Digital release only – buy it for 79p on iTunes. And of course, it would be amazing if you could buy a copy next Sunday!! Thank you so much!